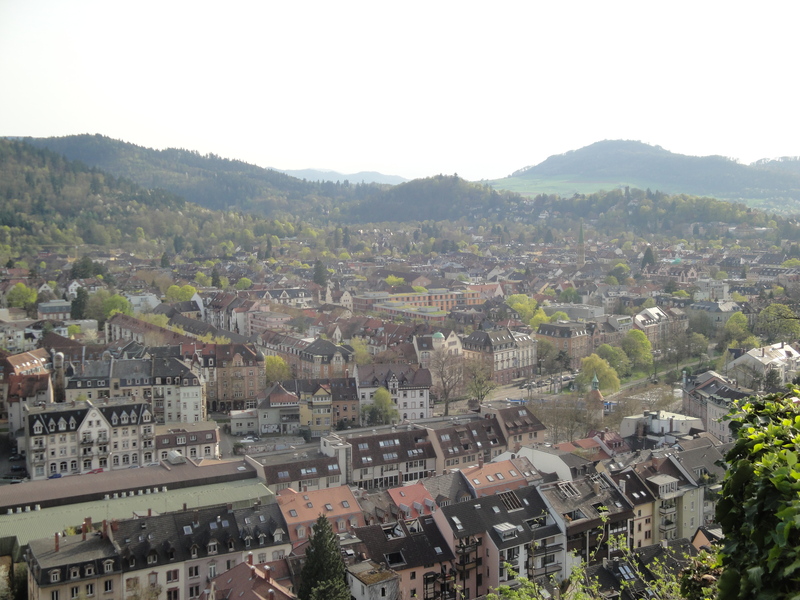 We took the train to Colmar, France, today. 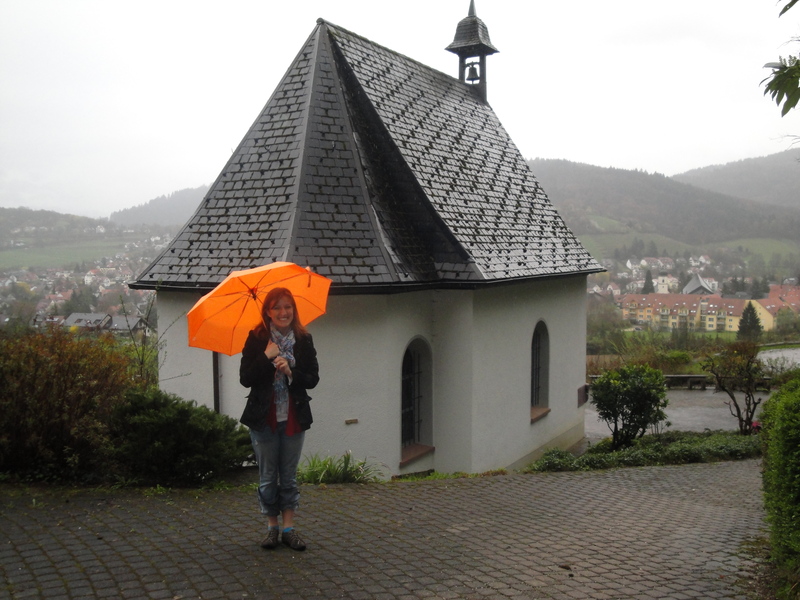 It was pretty rainy, so we decided to go to the Unterlinden Museum so we could spend some time inside. Which was a good idea in theory, but we didn’t factor in a 35 minute detour of walking, lost, around the entire city in the rain. The museum was fantastic. It was mostly Catholic art from the early Church and the late middle Ages, prominently featuring a number of artists from the Alsace-Lorraine area. The main attraction was a huge room devoted to the Isenheim Altarpiece, which was unlike anything I’d ever seen before! 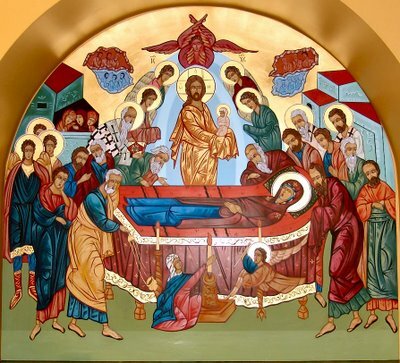 One really striking thing that my mom and I both noticed was the recurrence of this image, or images like it, depicting the “dormition of Mary,” or Mary’s deathbed. In these images, Mary is always surrounded by the apostles. Christ is generally seen in the heavens, accompanied by a child representing Mary's soul. Um, WHAT? I have never heard of this or seen an image like this in my whole life! And neither has my mother! And, to use her words, she’s “been Catholic for a long time”! And we go to museums quite often, too! Are we just the only Catholics who haven’t been informed of this artistic phenomenon?!?! Help me out here, Catholic friends!